* Modified for more black styles ..
* Now comes with Customized Wallpapers. 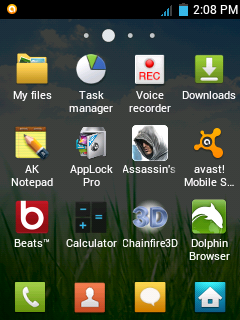 Admin its my first time to flash a rom to my phone is this rom like stock rom what I mean is can applications work on this rom apks can google.play work and is it safe to use custom rom a long run can it just brick a phone by just rebooting coz last time I bricked my samsung galaxy note 2 and my galaxy s3 I'm such a noob but I was able to fix them using odin will I be able to revert back to stock without any pc or odin just revert to stock rom using nadroid if u can tell me. And is this rom safe I don't want to brick my phone while flashing can you use odin on mac I have windows too but can you use mac coz I travel when I travel I travel with my mac a lot. Anyway I just use galaxy pocket for calls coz its get fit easy on my pocket I have high end androids to and iphone 5 I'm just saying. And I like your blog just nice and cool. You want to flash back to stock, use odin to flash back to stock rom go on google search and write stock rom galaxy pocket you will get the site. I have and it is working perfect. removed all bugs with this update. If i flash from v1 then will i get the features added in v2 n v3?? it should be installed from v3 right? Blackstar v4 has its own features this one is cool and better than the previous ones you can see for your self its blackstar v4. Furthermore, The contents are masterpiece. you've performed a excellent activity in this topic! whats about the YouTube Bug and other Update issues ? Everything is perfect now. I m not using youtube included in it as i have replaced it already with a modified youtube apk. that was working perfect before the update and also after it. Downloads and internet is faster after update and google play store starts downloading in just 2 to 3 seconds. Great job dude. They want to know about with firmware you're using xxlf 4 or xxlf 5 ect . Great job by the way. my setting is XXLJ4 ?? what's the problem ??? The rom works on xxle 4 then it works on xxlf 4 so as the creator of this rom didn't say anything about firmwares on this version the rom works on many firmwares. I flashed version 1,2,3 they work properly on xxlf4 so visitors. here are the screenshots after applying this update. are there can swipe notification? galaxy s3 on my own with odin it is a safe way. how did you get the theme like that in the photo? I am too, Statusbar Setting always force close... @Admin what should i do? GUYS am not able to connect to my WIFI. Cajn your wifi detect other wifi? 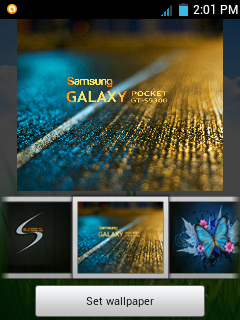 i have install it but then my phone just stay in samsung logo and never end. what i have to do ? You should wipe data and cache in cwm before and after flashing the rom. I cannot use Google+, Gmessenger, Gmaps and Youtube. Please help! 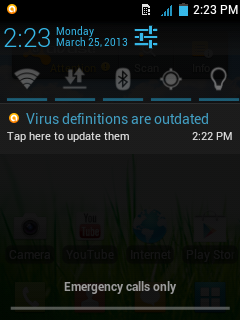 can this rom ... swipe notification? can i flash this in costumrom? I neeed the theme like in a photo above please how to get it ??? when im clicking the statusbar option in the settings, the settings force closes i want to remove the battery icon because it has a black bckground even though the whole status bar is transparent. what should i do? can one play all the games with this ROM? Awesome creation thanks bro, just installed to XXLF4, first v1 and then this one. Just statusbar settings seems to FC but I never wiped cache and dalvik before or after install, maybe that is the problem? Anyways, nice work on this little device, it rivals rootbox for sgs2. Very cool. yes. admin.. error *#9900# status bar force closing . solution? admin. answer this question. 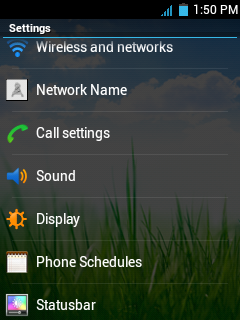 no status bar and calls dont show caller. I want to install Google apps on my Gp, help me. 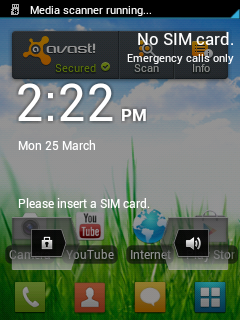 I have blackstar v2 installed on my galaxy pocket,so can i flash this rom directly without wiping data? Anyone try it? I'm using v2. It shows battery's percentage, love it so much but i wanna try v4, someone tell me that v3 status bar can show battery percentage too?? is it ok to flash another rom even you are using other rom? me gusta la opción de habilitar/deshabilitar coneccion de datos con el botón de encendido y apagado. Como se llama esa aplicación? how to fix default music player error?? I flashed my Phone with Blackstar Rom v1 & then with Blackstar Rom v4 everything was working fine untill recently my phone started sucking all of the battery... without any significant use... previously with everything off(wifi, bluetooth) my phone was givin 4-7 days stand by... but now phone charged in the morning is found to be totally drained & switched off in the evening itself. PLZ.... HELP... tell me what to do... presently trying rubbing the battery ends & putting it in a freezer... but not sure that will help in any way... tell me what should I do..?? & also by holding the center(back key) gives a list of apps... are they minimized like in galaxy S3... or is it just for the look?? As i'm unable to remove any app from there by sliding it off the screen.... & also just closing the apps by normally pressing the right side key(untill the app exits).... PLZ REPLY IN NEED OF URGENT HELP...@!!! GSAM showing that Kernel(android OS) eating upto 98% of battery, now what should I do... it's confirmed that something's relating to this ROM is causing problem...?? Now, what if I had a backup of my phone ie, apps, sms, pictures, music, videos, documents and other files from a different rom, can I restore it back into this blackstar rom and it works? how to get that home screen from the above screenshots? I want to change my galaxy pocket rom to blackstar rom v4, i have 2 question. 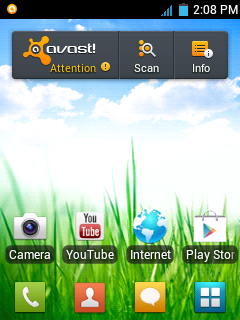 1- From friends that use this rom, how is it in speed , graphic , widget & ...? 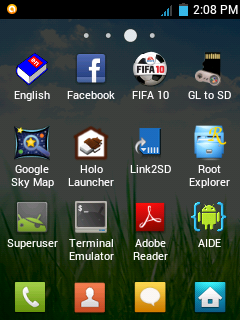 2- I want to upgrade rom to Blackstar rom for first time and how do it? what should i do to get original pocket? I do not recognize the external SD. Any suggestions?. adminn please talk with the developers to makee the version 5 of this rom I think its the best rom for galaxy pocket until now! Works perfectly . thank you masters. i hate this!!! flight mode always on!!! how can i use my phone if it always on..